Photo Contests have only increased in popularity over the last few years as smartphone cameras have improved and we’ve entered the age of the “selfie.” However, the online landscape has also changed a great deal. The growth of mobile internet traffic, in particular, is a game changer, making mobile responsive photo contests an absolute must. For this reason one of your best options is to use Heyo to create your photo contest. Heyo’s contest apps are fully mobile responsive and intuitive to set up. And Heyo’s editor is entirely visual, which makes the process of creating your campaign more enjoyable. Best yet, they offer a no credit card free trial. These are all words that can be used to describe content that flows at velocity across the web. If there is one type of media that fits into the high sharing and fast moving media category in an age of social networks, it is photos. In the past photos were stuck in drawers, sat on mantel pieces and were glued into albums. Photos didn’t flow, they sat. They patiently waited to be picked up and shown at the first opportunity to your friends and family next time you met. In the age of Kodak, photos needed expensive cameras, complicated processing and patience. Waiting for your photos to be developed at your local camera shop or pharmacy store after that summer holiday was a lesson in managing painful expectant anticipation. Now we reach into our pocket or purse and then snap and share with a few clicks. It’s on Facebook, Twitter and Google+. This is why photo contests on Facebook are such a powerful marketing tactic in a world of mobile media and mobile phone cameras. Here are seven things you need to know to make those contests sing and dance. Facebook photo contests are among the most viral and engaging campaigns you can run. Fans can participate by voting, or uploading their best picture, and voting. They will actively promote their entries to their friends, consequently promoting your campaign and your brand for you! 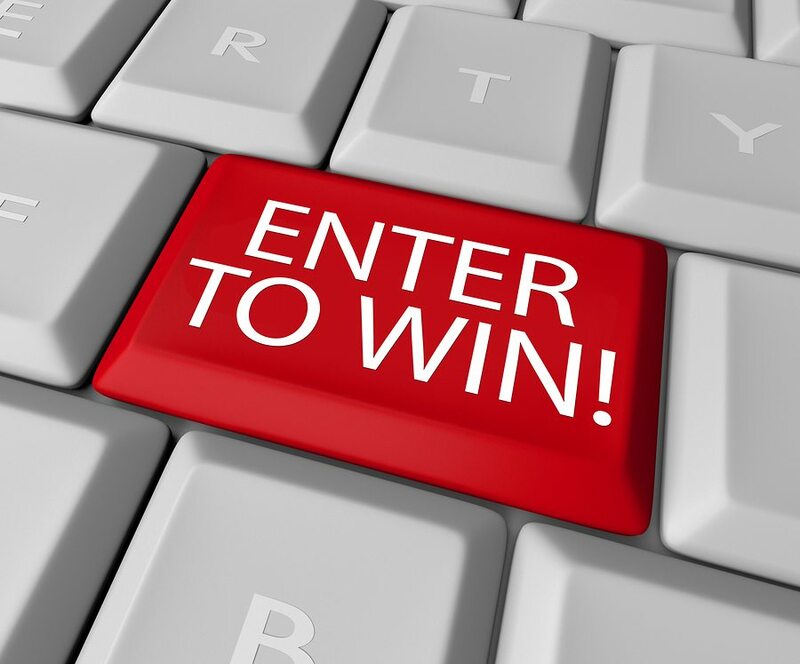 However, the level of engagement required of participants- choosing their best picture, and taking the time to upload it, will drastically reduce the number of email addresses and qualified information you would normally collect from a simple sweepstakes or instant win game. 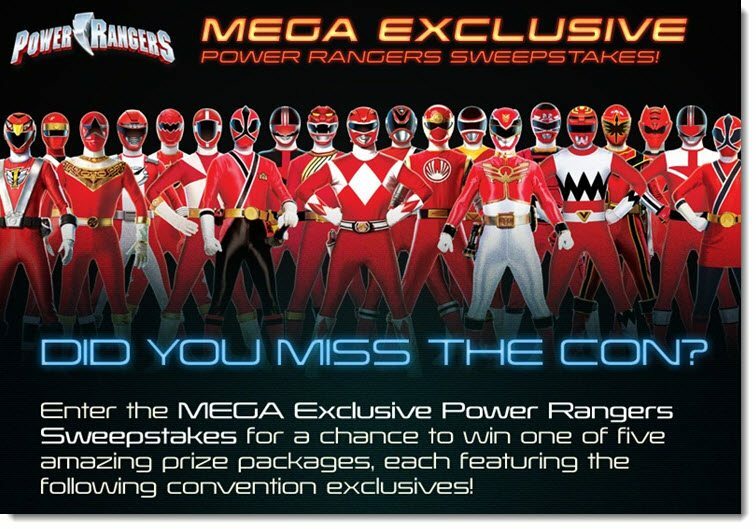 Note: If you want to recruit fans and opt-in emails on a mass scale, a simple sweepstakes will be a better choice than a photo contest. A photo contest will require more time and attention from you as well. You’ll need to review new entries on a regular basis to make sure they’re in accordance with your policy and brand image. You’ll have to deal with potential cheaters (see below), and if you’re smart about it, you’ll need to set aside time for determining your winners (see below). So, if you are short of time and can’t dedicate the amount of attention required from a photo contest, you may want to try a less time consuming campaign app. This is also not the best type of campaign to run if you’re looking to reach a very large audience and gather as many fans and/or emails as possible. If you have those goals in mind, you’ll be better off with a sweepstakes or instant win game. The photo contest is most advantageous if your goal is to offer an in-depth brand experience and capitalize on person-to-person marketing. 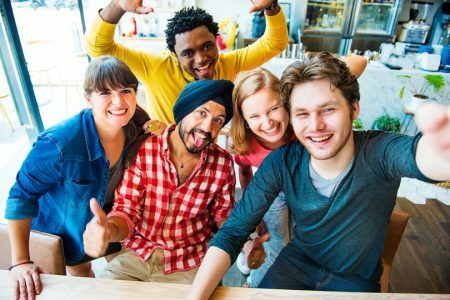 You’ll collect fewer emails, but you’ll recruit new brand ambassadors to nurture amongst the minority of participants who upload their photos, as well as new potential first time customers amongst the majority who will solely come to vote. If your fan base is an audience of artists, photographers, sports enthusiasts, vacationers or scrap bookers, you have the ideal audience for a photo contest. 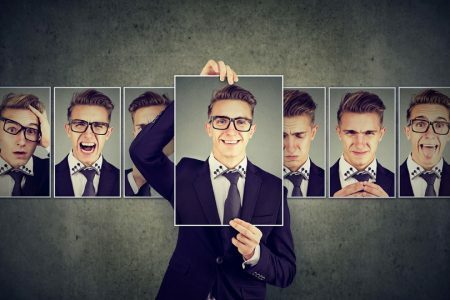 If your customers don’t fit that description, creativity can still produce amazing results. I recall a tremendously successful photo contest in which participants were invited to reproduce the Playstation logo. 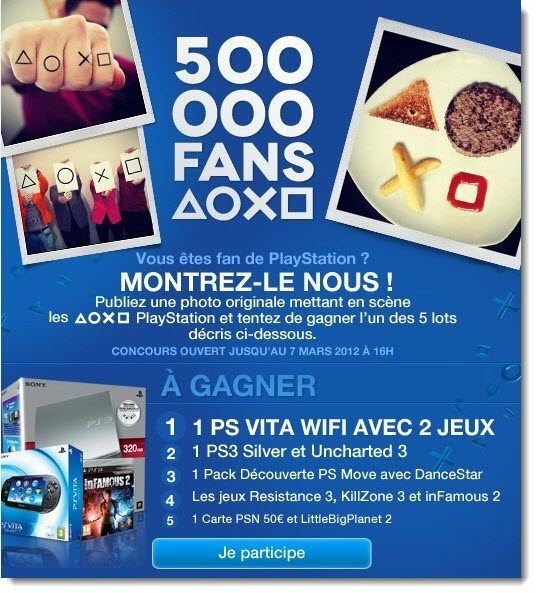 Note: To celebrate its 500,000th fan, Playstation France proposed its fan to create creative photos using the Playstation signs. Fans creativity with the brand’s attribute was a blast! Despite even the most creative ideas, a photo contest is just not the right fit for some audiences. If they are not playful (Lawyers? Surgeons? Wall street types?) or, are simply not known for their creativity, you may have a hard time motivating them to enter. Before going for the photo contest, ask yourself if your audience is the right fit for the game. Photo contests are the most engaging of all Facebook campaigns, but they’re also the most challenging, for two reasons: this is the only type of widely used contest leveraging user generated content (video and essay contests are much less popular), and it is the only type of contest that allows participants to seek votes from their friends to increase their ranking. 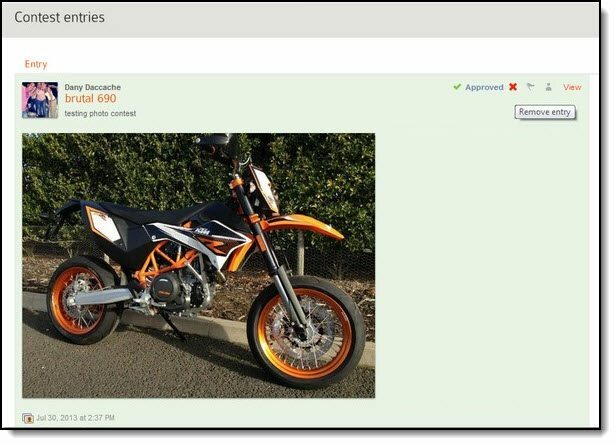 User generated content on your page will reflect you and must be monitored closely. You don’t have time to do this on your own, so make sure your app provider provides a moderation feature that makes it easy for you to approve each fan photo before it goes public. Note: Your app should offer you the option to moderate entries before they get published to your page if you are in a sensitive industry or have an anxious boss or client! Note: Your app should also offer you easily accessible moderation features to approve or delete entries before they get published or right after (if they are not appropriate). The photo contest’s potential for voter fraud is great. Based on our experience, cheating begins as soon as a photo contest goes live with attractive prizes. You don’t want to risk losing your loyal fans’ participation, but monitoring for false or inappropriate images, fake accounts and vote cheating will be difficult and time consuming if your app doesn’t provide efficient tools to do so. There are many alternatives, the best being a mix of the entries with the most votes, a jury selection and a random draw. The ideal formula entails awarding prizes to an entry selected by the jury among the 10 entries which received the most votes. Not only does this deflect cheaters, it will keep participants who are late to enter your campaign motivated because they can still get 5 votes! We’ve often found that entries with the most votes are not the best, and as a brand, it is hard to reward participants with poor entries. The combo above solves this issue too. This will take a little more time to organize, but at least it’s not time spent dealing with scavengers and disgruntled honest participants. Cheaters tend to work as a team and vote for each other, limiting the number of daily votes will discourage scammers and encourage your real fans to return on a regular basis. Note: Make sure you limit the ability of participants to vote for multiple entries at one time, this will make the “will exchange votes” scheme much more difficult. If you spot numerous votes coming from the same IP address, you’ve probably spotted the use of fake Facebook accounts, and a participant who is scamming your contest. Note: Your app should offer a convenient way to identify suspicious entries and votes. This is usually based on IP addresses. 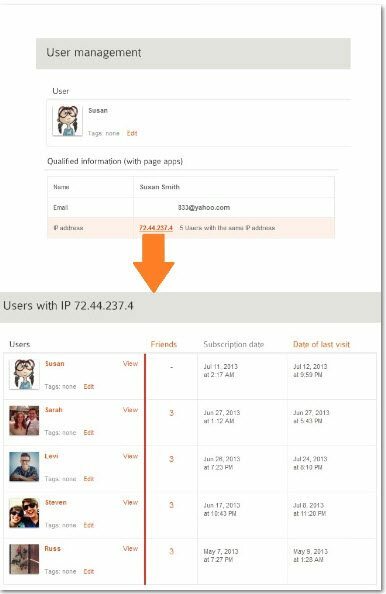 In the example above, the user “Susan” was identified by the system as being “suspicious” because several participants also entered from the same IP address. Those users were then easy to identify and check. Once fraud has been uncovered, you want the concerned entries removed in one click. Rules determine how winners are chosen, and how users may be disqualified. If you have to ban users, your rules for participation will clearly explain why you’ve taken this action. Finally, choosing the right prizes will make a big difference. Avoid offering attractive prizes that have nothing to do with your brand. A free holiday will not attract fans of your beauty products. Everyone wants to win an iPad. But, how many online gadget hunters are potential customers for your hand made jewelry, motorcycle accessories or exotic coffees? An appropriate award will deflect prize hunters, who will hide your posts or unlike your page as soon as your campaign is over. Eventually, this kind of activity will drag your EdgeRank score down, thus fewer of your true fans will see your content. 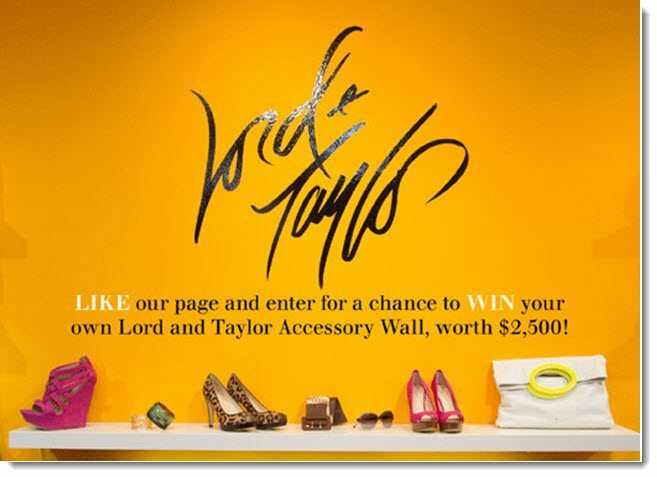 Note: Lord & Taylor, a female online fashion retailer is awarding fashion accessories from its website. If you are an airline, why not offer more miles to fans who are already members of your loyalty program, or an upgrade on their next flight? If you’re offering trips to resorts, send your winner to one of the destinations in your portfolio. If your business specializes in selling iPads, why not give away a must have accessory? Or an iPad? Choosing the right prize is your main guard against attracting opportunists and cheaters. You may have fewer entrants, but in the long run, you’ll be far better off with 100 new potential customers, than 1,000 scavengers. Visitors can’t guess what you want them to do, you have to tell them. 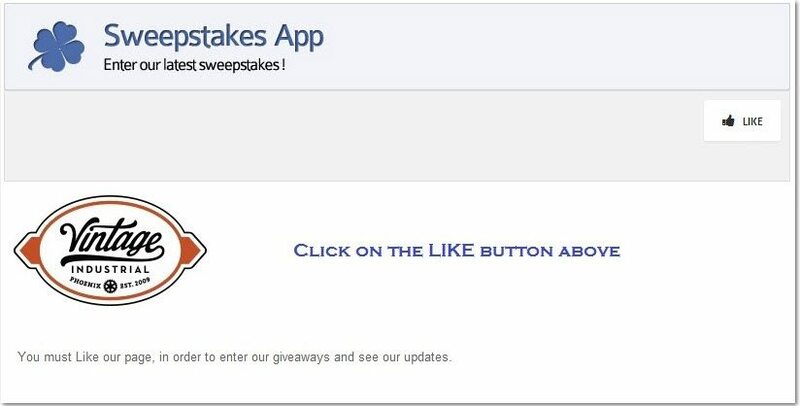 If you want them to like your page to enter, tell them so, if they need to click to enter, show them where, if filling a form is required to enter, let them know that, and use visuals as much as possible. Most people don’t read text or instructions on the web. Note: Highly visual calls to action are always a good idea. If you think mobile users will only check their friend’s stories and never use your Facebook photo contest app, think again. Based on our internal data, 40% of fans who are offered the chance to enter your competition from their mobile device do so! Note: A Facebook campaign ran by one of our clients. Almost 33% of the 26,000 participants were on a mobile device when they entered. It’s not always that high, but it can happen! Make sure the app vendor you choose offers mobile access to your contest, the standard link to your campaign tab will not work. Zuck Dawg hasn’t built Facebook tabs for mobile yet, and possibly never will (you’d have to have really super small thumbs to click on the right one anyway). App vendors, like Agorapulse, will provide you with a specific link, which detects the type of device your participants are using and optimize the format for their screen. Do note, however, that certain types of mobile devices, such as the Windows phone or iPhones with iOS 5 and older, will not allow participants to upload pictures from their device. As a general rule, we do not recommend investing in Facebook ads to recruit new fans. Even though they offer pretty good targeting options, your Facebook ads may generate new fans who are more interested in your prizes than your brand, product or services. You can get rid of unwanted traffic to your website without leaving a damaging trace. But you can’t get rid of fans, they are here to stay, unless they decide to leave. So if a bulk of your page’s fans aren’t genuine, they will probably hide your posts and never engage with you, bringing your edgerank score down, and your ability to reach those who truly love you down with it. 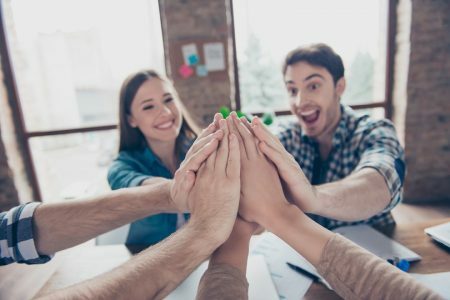 As a top-notch marketer, your goal is not to recruit more fans, but to recruit the right ones – those highly valuable fans you can build a productive relationship with. The best way to do that is to leverage the communication channels you already own, like your email list, your website traffic or your point of sale. 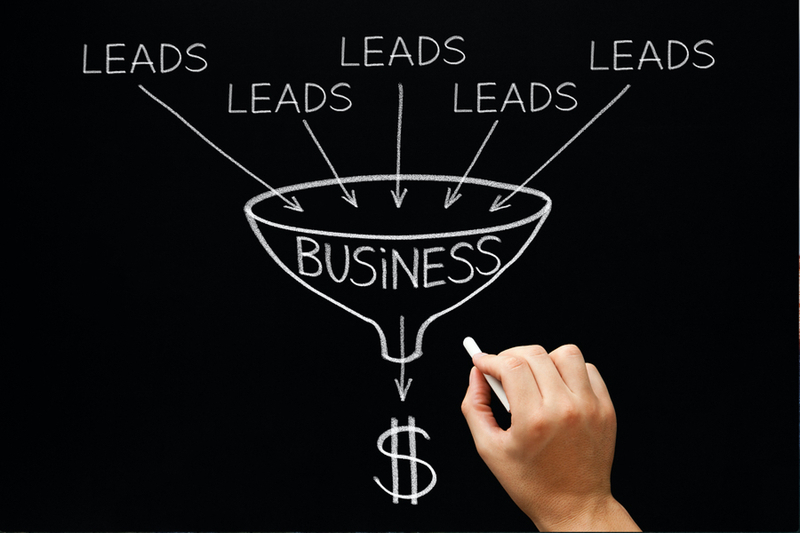 The best leverage you have to bring the right new fans into your social fold is your current customer base. 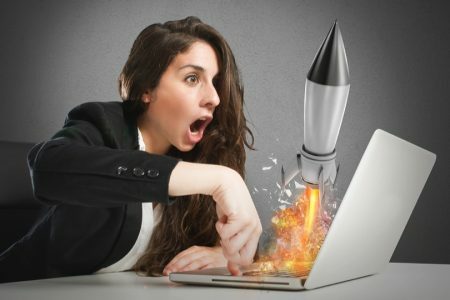 These excited customers who are already trafficking your website, reading your emails or visiting your stores are probably waiting to tell the world about you! Make sure your Facebook app provider offers you an embed feature to reach them were they are. Your website traffic can like your page, submit their photos, vote, and give you their email address and other valuable information without ever having to leave your site. Note: The ability to embed your Facebook contest on your website is a great way to leverage your existing web traffic and gain highly qualified fans for free! 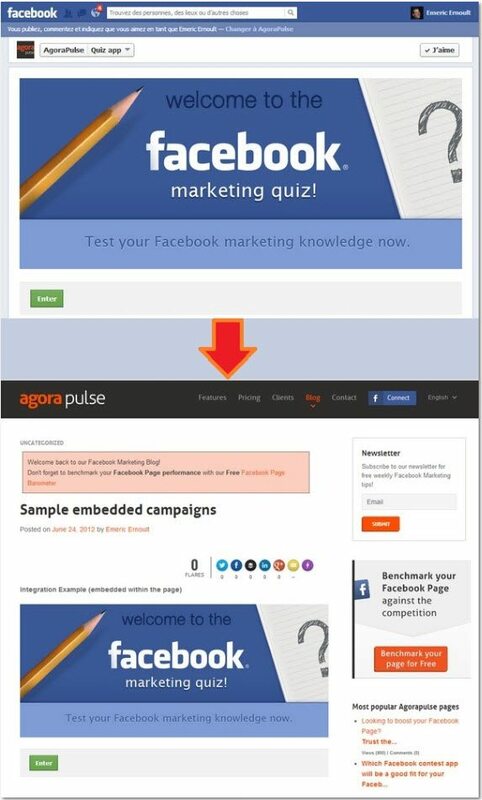 In the example above, the same quiz is accessible directly from the Facebook page and on the website. Make sure the app is accessible through mobile, as more and more users are now read their emails from their mobile devices. 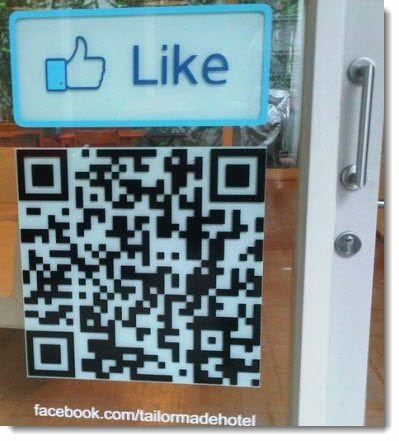 If you’re a brick and mortar retailer, make sure you have a QR code (or short URLs) signage at the point of sale to convert these “real” visitors into fans. Note: QR codes or short URLs at the point of sale is a great way to convert foot traffic into fans. Sometimes, investing a little in Facebook ads to increase the number of qualified fans can be a legitimate expense, but we recommend leveraging your own communication channels over paid ones first. With mobile optimization and website embed options you can easily get new fans directly from your point of sale, your website, blog traffic or email list without spending a dime! 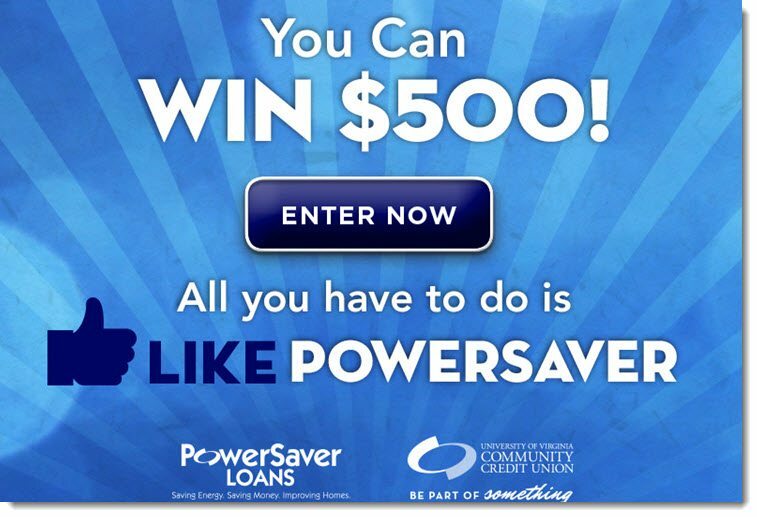 Have you run a contest on Facebook? Was it a photo contest? Was it successful?